Stillpoint's Marigold flower essence holds the energetic imprint and energy of the Marigold Flower. The flowers of this particular flower essence were collected from Marigolds that had been wiith us for years. 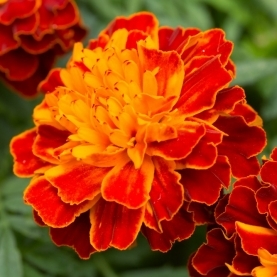 Marigold essence carries the energy of longevity, stamina, and sunshine.